Over 10,000 years ago, humans in Borneo feasted on dried meats and palm plants, new research suggests. Two human jaws from the Niah Caves in Borneo were originally discovered in 1958 but only just revealed. 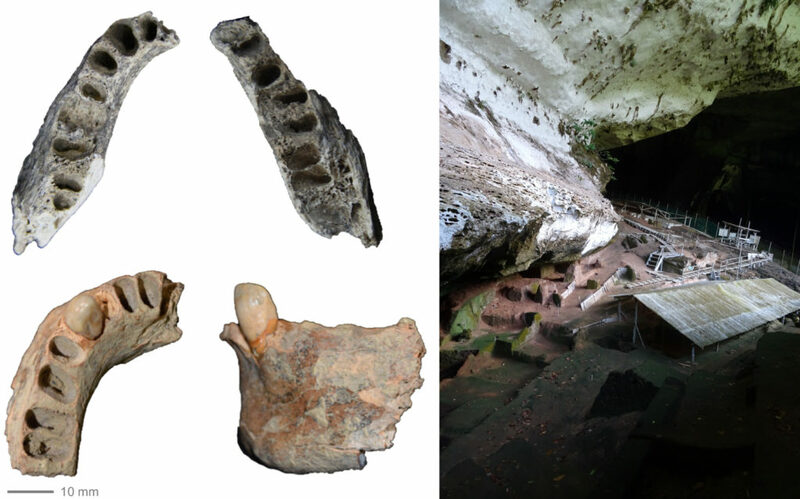 Top jaw is 30,000 years old, bottom jaw 11,000 years old; left image is Niah Caves archaeological site where they were both found. Image credits: Darren Curnoe. While researchers have a fairly good idea about the diet of Late Pleistocene hunter-gatherers, not much is known about populations in South-East Asia, since very few remains have ever been found. But the Niah Caves in Borneo might change all that: researchers have made several promising findings in the area, shedding much-needed light on the island’s inhabitants. The cave isn’t a new discovery; in fact, it’s been studied for decades. But new technologies are enabling researchers to see these findings in a new light. In a new study, Darren Curnoe from the University of New South Wales, Australia, along with colleagues, have re-analyzed three human mandibles that were previously excavated from the West Mouth of the Niah Cave in 1957. The mandibles were dated with Uranium-series techniques to 30,000, 11,000, and 10,000 years old respectively. The shape and characteristics of the jawbone can provide important clues about what its owner usually ate. For instance, the older mandible was smaller but more robust than the other two, indicating that it was subjected to a lot of strain, probably due to chewing a lot of tough foods — the most likely candidates are dried meats or palm plants, a diet that has previously been identified in the Niah Caves. 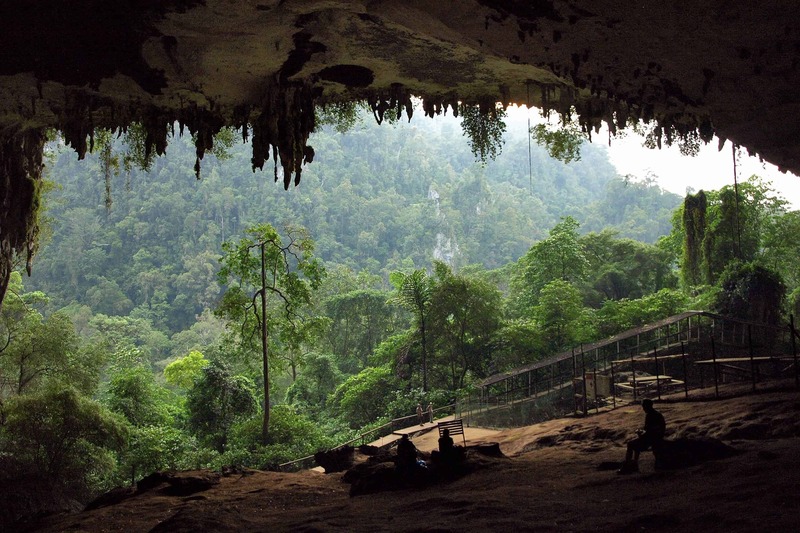 Niah Caves – Malaysian Borneo. Entrance to the Great Cave. Image via Wikipedia. It likely wasn’t an easy life for any of these people. Living close to a rainforest was challenging, and not many resources were around. These people were likely struggling to make a living and eating raw plants and dried meats likely made up much of their diets. It’s unclear to what extent they were able to adapt to the changing environment.